Governors Island, a 172 acre island in the heart of New York Harbor, is only 800 yards from Lower Manhattan, and even closer to Brooklyn. It is a world unto itself, unique and full of promise. 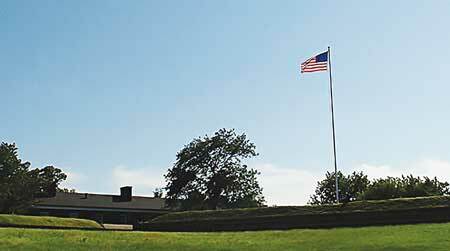 Governors Island is open every day for visitors from May 24 - September 28. Visit the Island and its 30 new acres of park! 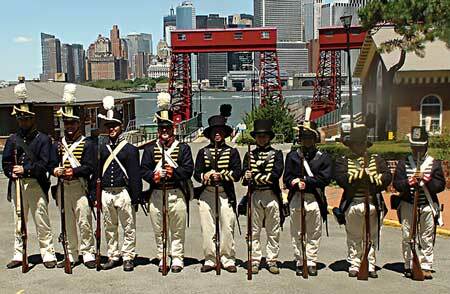 Enjoy arts, cultural and recreational programs in the middle of New York Harbor. For summer 2014, the Trust for Governors Island completed construction on the first 30 acres of new park and public spaces. The new 30 acres of park include Liggett Terrace, a sunny, six acre plaza with seasonal plantings, seating, water features and public art; Hammock Grove, a sunny ten acre space that is home to 1,500 new trees, play areas and 50 hammocks; and the Play Lawn, 14 acres for play and relaxation that includes two natural turf ball fields sized for adult softball and Little League baseball. In addition, new welcome areas have been added at the Island’s ferry landings, as have key visitor amenities, including lighting, seating and signage throughout the Historic District. Island Park. Made of recycled construction and fill materials, The Hills will rise 25 to 80 feet above the Island, and the summit of the tallest Hill will provide visitors with a 360-degree panorama of the Statue of Liberty, New York Harbor and the Lower Manhattan skyline. The Hills are currently under construction with the goal of completion in 2015. For almost two centuries, Governors Island was a military base – home to the US Army and later the Coast Guard, and closed to the public. In 2003 the federal government sold 150 acres of Island to the people of New York, with the Island’s governance and funding jointly shared by the City of New York and State of New York. The remaining 22 acres of the Island was declared the Governors Island National Monument that is overseen by the National Park Service.